How do I link my mc account to discord? Woah there! We have moved to Discord for our communications. Join by clicking this message! 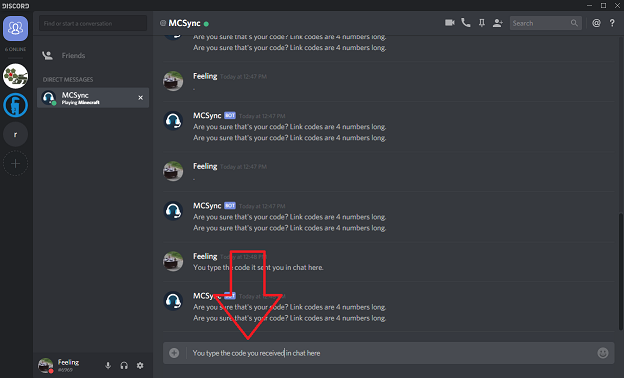 Forums » Tutorials » How do I link my mc account to discord? Good question person I've never met that always asks me questions which require me to make a tutorial! It's pretty simple, but knowing me I'll over explain the entire process and put pretty pictures everywhere just to make sure we're all on the same page. First you need to actually login to the server. It's as simple as typing a single command. "/discord link". You'll receive a message containing your activation code (DO NOT SHARE THIS) and instructions on how to use it. Luckily you guys don't need those because you got good old Feeling! What do I do with the code? 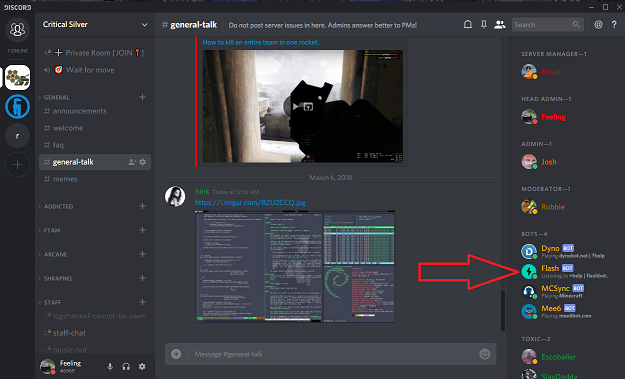 Open discord, find the "MCSync" bot (it will always be at the top of the discord categorized with the bots), and send him a message with the code. That's it! Now you can enjoy the bonuses that come with it!